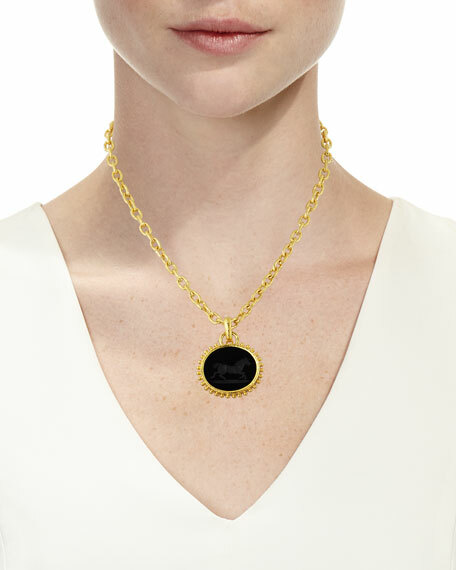 Elizabeth Locke pendant charm; complete your look with a favorite necklace in your collection. 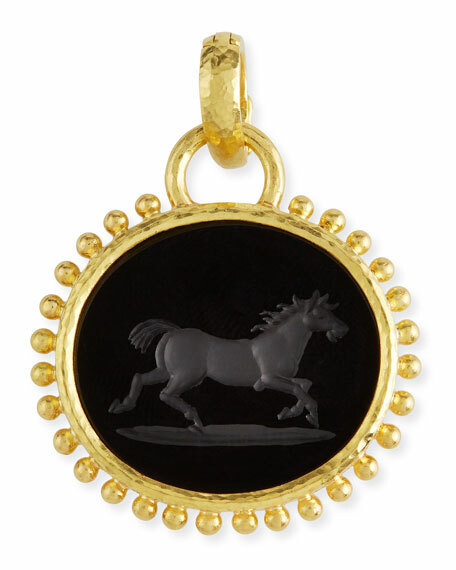 Onyx center with running horse carved intaglio in granulated setting. 23.65 total onyx carat weight. Clip bale at top slips easily onto a necklace.